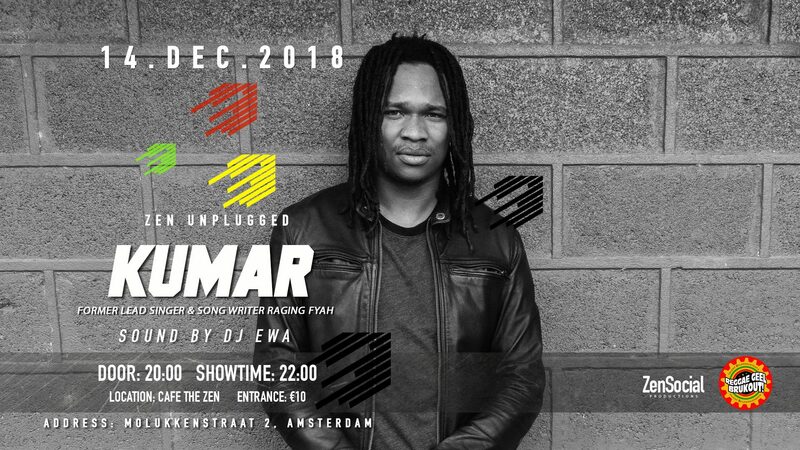 Cafe The Zen and Reggae Geel Brukout are proud to present Zen Unplugged: a brand new series of intimate acoustic sessions. For the first edition we invite Kumar Kumz Bent, the former leadsinger and songwriter of the Grammy nominated band Raging Fyah. Cafe The Zen has a limited number of tickets, so come early to make sure you get in!